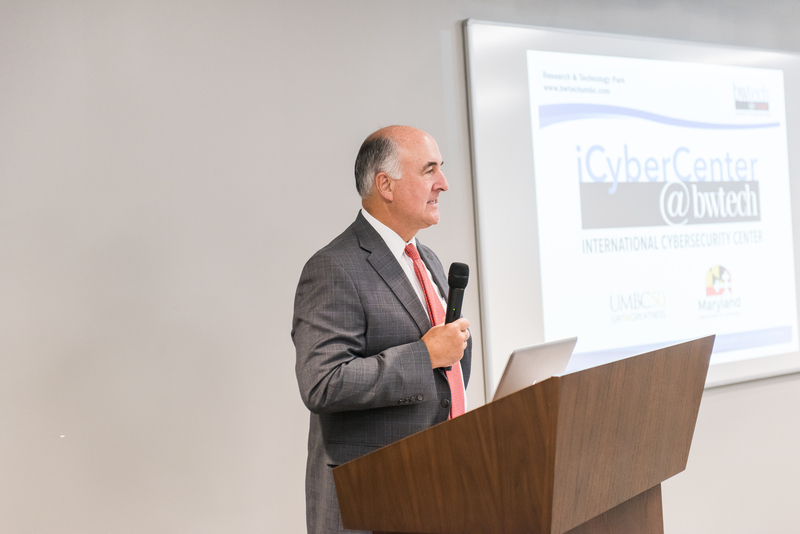 The bwtech@UMBC research and technology park has officially launched the iCyberCenter@bwtech to support companies from the United Kingdom and other nations as they establish themselves in Maryland. Maryland Governor Larry Hogan initially announced plans for the iCyberCenter@bwtech, as a collaboration of UMBC and the Maryland Department of Commerce, during a trade mission to the United Kingdom in mid-June, prior to the formal U.S. launch event on July 6, 2017, at bwtech@UMBC. 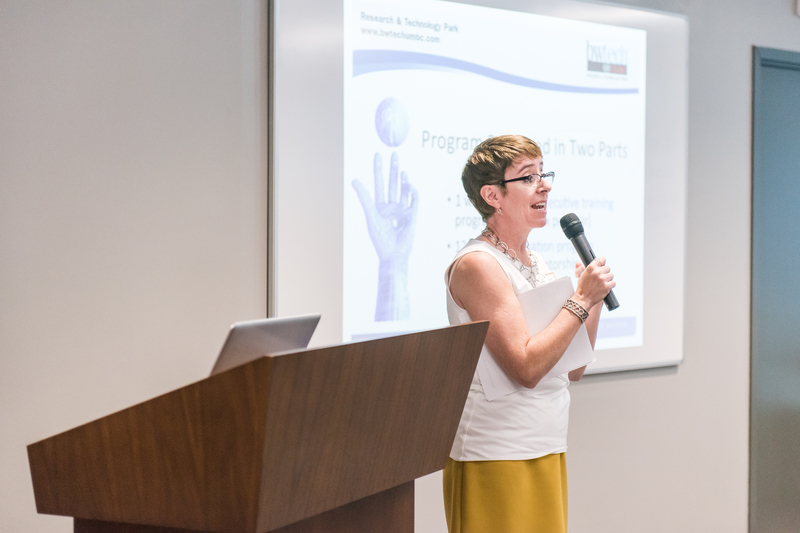 The iCyberCenter@bwtech will offer an intensive training program for the executives of select international companies seeking to connect with the U.S. market. The first executive training session will be held September 11 – 15, 2017, and organizers anticipate running three such sessions annually, with each including 6-8 entrepreneurs. Through the program, participants will increase their understanding of the U.S. cyber market and develop custom market entry plans for their businesses. Jennifer Reynolds explains the iCyberCenter’s intensive training program. Companies accepted into the program will also benefit from the 12-month U.S. Market Entry Incubator Program, which will offer support while they launch their U.S. operations. Participants in the year-long support program will have access to mentorship from industry experts, and will engage in trainings, events, and networking opportunities. Ellen Hemmerly, executive director of bwtech@UMBC, sees the iCyberCenter as an economic development engine. She notes that, in addition to helping to create at least 100 permanent jobs over the next several years, it “will support Maryland’s desire to increase foreign direct investment in the state” by boosting the state’s international visibility as a home for cybersecurity leaders. 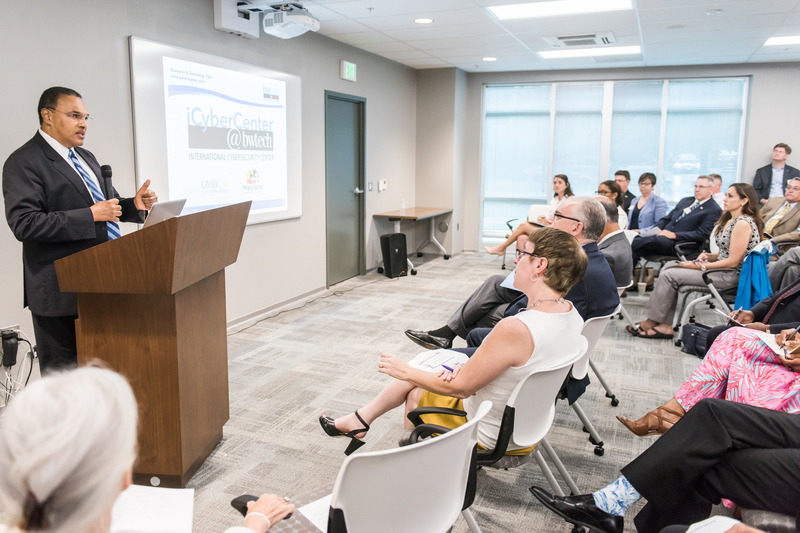 “We believe the economic impact of the iCyberCenter will be significant…and secure Maryland’s place in cybersecurity innovation in the world,” she explained at the launch event. President Hrabowski speaks at the iCyberCenter launch event. Secretary Mike Gill speaks at the iCyberCenter launch. When it comes down to it, said Williams, “We have a hunger here to get things done, but we also have a community.” He sees UMBC’s combination of support, talent, knowledge, and drive as essential to the success of the iCyberCenter@bwtech itself. Read more coverage of the iCyberCenter@bwtech in The Baltimore Sun, the Baltimore Business Journal, Technical.ly Baltimore, and Southern Maryland Online. Another article appeared in The Baltimore Sun in October 2017. Header image features Andy Williams speaking at the iCyberCenter launch. All photos by Marlayna Demond ’11 for UMBC.